BRANDON, Man. 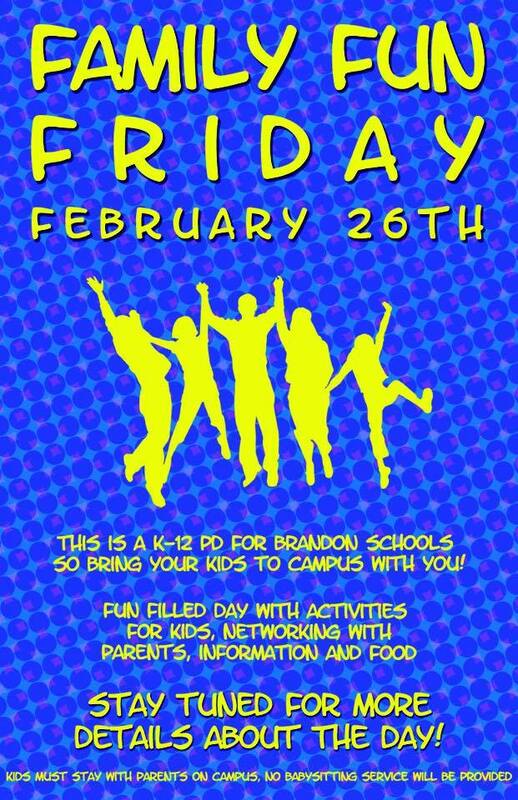 – Brandon University (BU) students with school-aged children will be able to combine family time with their education this week. 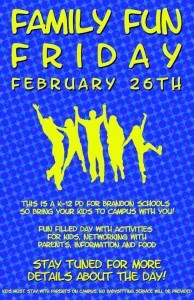 The Brandon University Students’ Union (BUSU) will host Family Fun Friday, setting up events on the BU campus for students whose children have the day off due to professional development for elementary and high school teachers. Since the organizers are unable to offer a babysitting service, Vanderheiden has contacted the deans of each faculty to make arrangements allowing parents to bring their children to their lectures on Friday if they are safe and appropriate for the age group. Events are planned throughout the day where parents can drop in with their children before or after their lectures. Activities will include a cardboard fort in the Mingling Area; a resource fair, featuring displays from local youth clubs, outside of Ancillary Services; and games in the Henry Champ Gymnasium. The John E. Robbins Library will host Tipi Teachings and a colouring area, while a parent networking session will be held in the Mingling Area by Student Services. The President’s Office and the Brandon University Alumni Association (BUAA) have teamed up with BUSU, making donations to support the day, which will also include a free family lunch. For a full list of activities, see the event’s Facebook page at facebook.com/events/1556475737977941/.